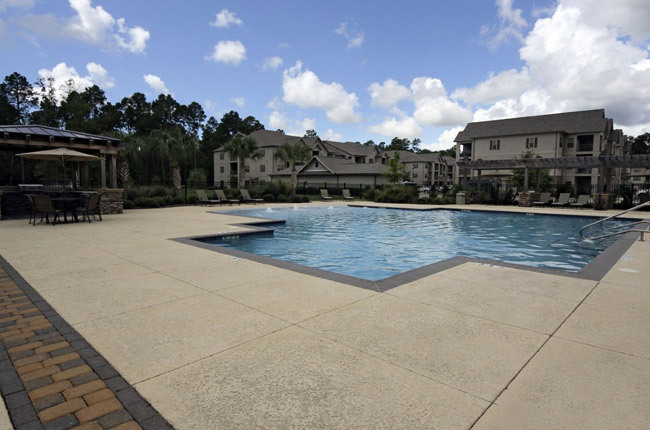 Experience the Northshore's preferred address at Brookstone Park Apartments in Covington, Louisiana! This gated community is hidden among a natural wooded setting on the brand new Ochsner Boulevard Extension, which connects Highways 21 and 1085. Brookstone Park Apartments offers an ideal location, a wide array of amenities, and great service at an affordable price. Beyond the great shopping and excellent restaurants that surround our community, Brookstone Park Apartments offers fully equipped kitchens with all electric appliances, expansive garden tubs, and large walk-in closets. If you are looking for a great place to live in the Covington, Mandeville, Madisonville, Hammond or Abita Springs area, look no further. Visit us today! Located on Ochsner Boulevard, Brookstone Park Apartments provides a central location in the heart of Covington, Louisiana. Our community is minutes from popular attractions including The Historic Downtown District of Covington, the Covington Farmers Market, and the Nord Du Lac. Outdoor enthusiasts will adore our close proximity to the Covington Trailhead and the Bogue Falaya Park and Pavilion. If you ever feel like exploring life outside of Covington, Brookstone Park Apartments features close proximity to the Lake Pontchartrain Causeway Bridge, offering a nearby escape to all the fun and entertainment of New Orleans. Visit us today, and see all of the comforts and convenience that we have to offer at Brookstone Park Apartments.